We began our operation on February 1st, 1999. We produce steel pipes and profiles with induction welded seams. 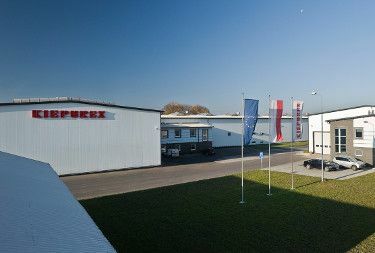 The company’s main office and one production plant are located in the town of Wapiennik 25, 42-165 Lipie, whereas the other production plant, a modern production and warehouse hall build in the years 2006/2007 which has 5 overhead cranes (allowing for fast loading) as well as a railway siding (which facilitates metal sheet supplies), is located in Trębaczew, ul. Przemysłowa 20, 98-355 Działoszyn. In 2001 r. the company purchased the first fully automated line for the production, which automatically increased the level of production. In 2003 we purchased another line, which expanded the range of our products, which allowed us to acquire new customers and expand market opportunities for our products. At the turn of 2004/2005 we launched another, the third, line for that production, which, thanks to its capacity, supplemented the production of missing products. In the years 2006/2007 already the fourth line was set up in our plant for production of seam welded steel pipes and profiles. Currently, on its four lines, our plant produces around 30 000 tons of pipes and profiles per year. We order metal sheet in the form of coils and prepare it for further processes of technological production on our own slitting line. 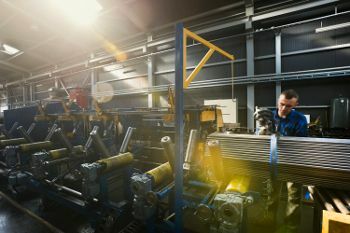 The machine facilities owned by KIEPUREX comprise state-of-the-art equipment which meets European standards. We employ qualified staff with high skills and qualifications who have undergone adequate training. Our products are of top quality, which is reflected by the international quality certificate ISO 9001 received by the company in 2004. The products are made of 0.6 mm – 2.5 mm thick metal sheets. Our products are sold in the territory of the European Union and outside it. At a customer’s request, our products are tested for tightness with the use of eddy currents. They can have a removed internal flash as well as be cut to suit the production dimensions defined by the customer. We guarantee fast order processing (the company has 6 trucks), competitive prices, and for our regular customers – negotiable conditions of sale. The main characteristics of our company’s operation are strengthening its cooperation with reliable trading partners, paying particular attention to the quality of products and services, constant search of new customers and expanding our offer. Aware of the ever increasing dynamics of market changes as well as the growing competition, the company’s philosophy boils down to one certain aspect; the condition for existence and development is an ongoing process of improvement of company activities and complete readiness for meeting new market challenges.